Think of your favourite tuna dish. 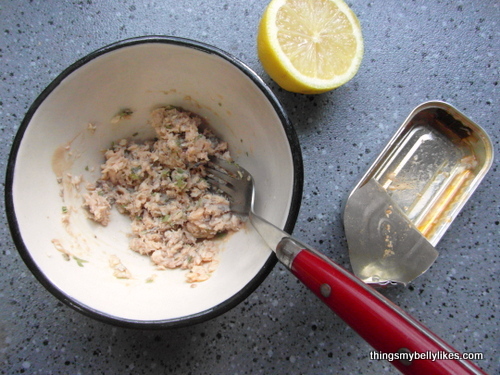 Now substitute the tuna for sardines. Racking my brains for a way to use up our sardine supplies (seriously, we’re almost out of cupboard space), I realised that I could simply switch out tuna and replace it with sardines. And so this salad came to be. And very tasty it was too. Mash everything together. Store in the fridge until needed.